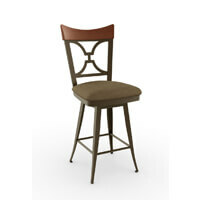 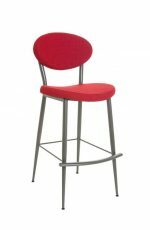 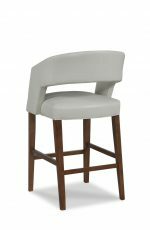 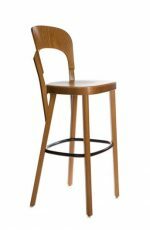 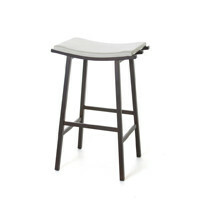 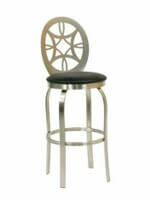 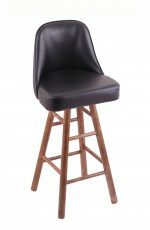 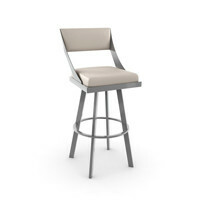 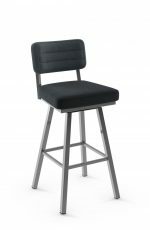 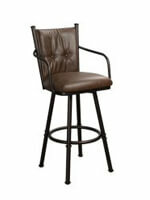 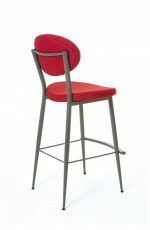 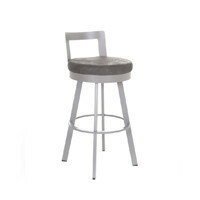 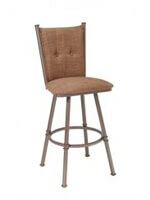 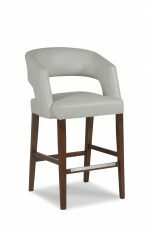 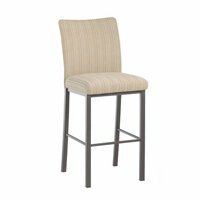 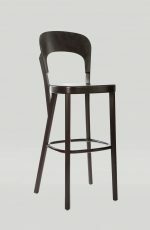 Wesley Allen's Jamestown Upholstered Stool with Scooped Seat - Free shipping! 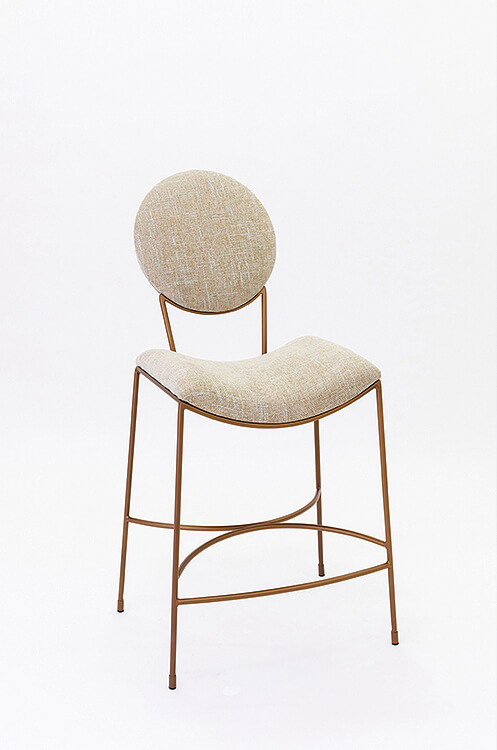 A combination of clean angles and curves makes Jamestown a statement piece that makes viewers do a double-take every time. 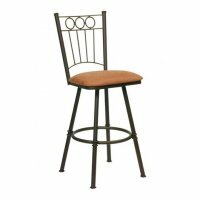 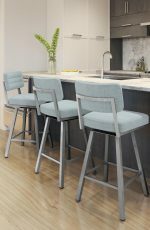 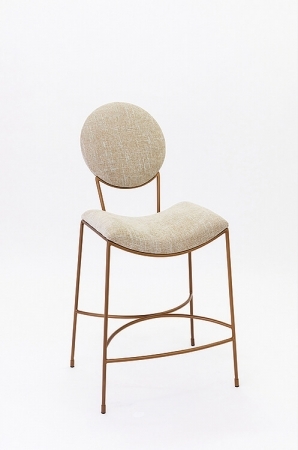 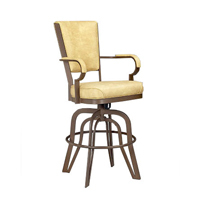 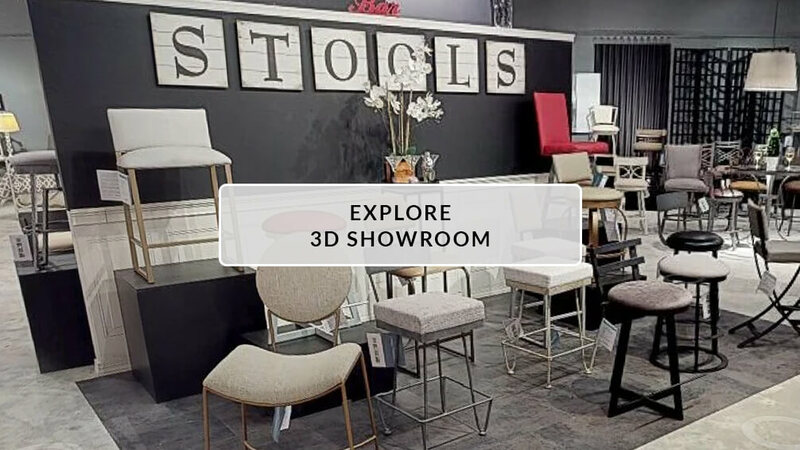 The round back is reminiscent of a more reserved, formal era, but the scooped seat, thin wrought iron curves, and clean, elegant personality are just as comfortable in eclectic-casual spaces.